The Best Wedding Gifts for Parents features sweet and sentimental gifts to let your parents know how much they are appreciated for all that they do. This list of The Best Wedding Gifts for Parents features sweet and sentimental gifts to let your parents know how much they are appreciated for all that they do. It is quite thoughtful for the parents of the bride and groom to receive a special gift thanking them for their love and support leading up to marriage. After all, parents are most always involved in the planning and paying for the wedding. 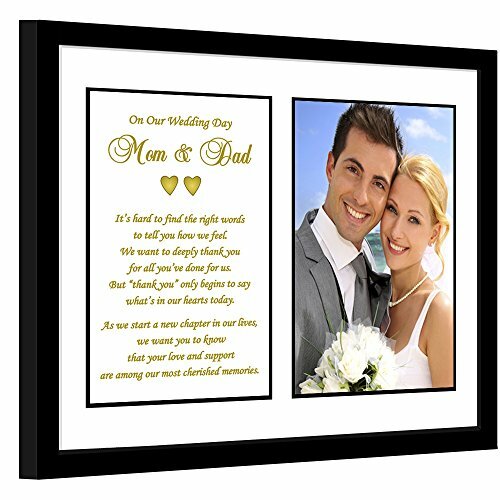 Mom and Dad will love this beautiful memento of your wedding day featuring a heartfelt poem of thanks and a spot to place a treasured wedding photo. This lovely gift is sure to be displayed proudly for all to see. 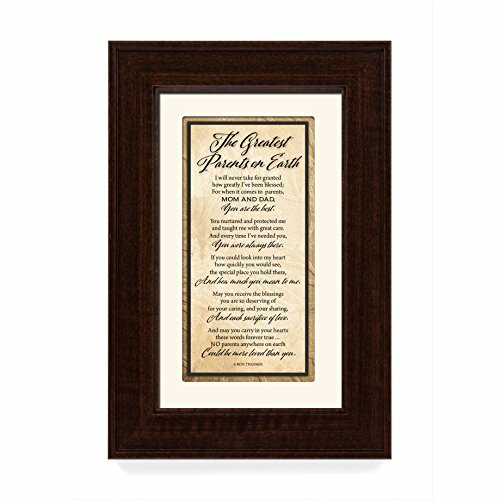 Features a sturdy wood frame, printed poem and room for a 4×6 photo. Ready to hang or display with an easel back. A lovely way to say “Thank You” to Mom and Dad from the bride and groom. Taking the time to select a custom, handmade print for Mom makes this gift one of a kind and one to be most appreciated. 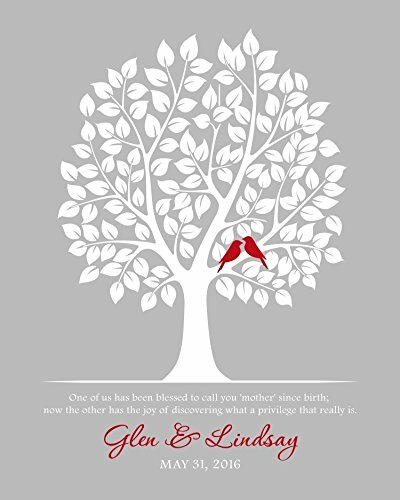 I love that the colors of the background, birds and names can be chosen to match wedding colors of the bride and groom. Choose names and wedding date to complete this special print. 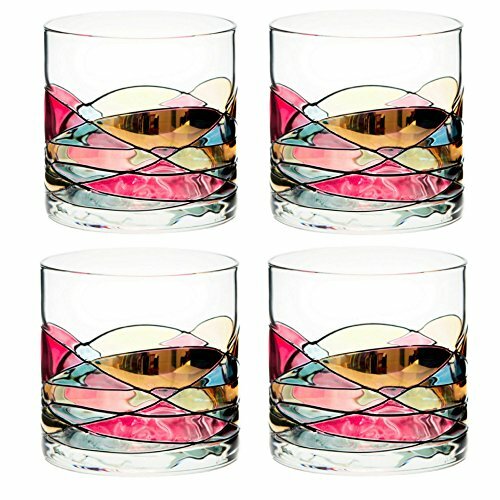 Two stunning drink glasses for Mom and Dad….. or four stunning drink glasses so they can share with another couple? Either way, they are sure to delight in these lovely and unique works of art that resemble stained glass. A top wedding gifts for parents of the bride and groom to enjoy. Each glass is hand-blown and hand-painted for a special one of a kind art piece. A sentimental and loving tribute to Mom and Dad as a heartfelt gift celebrating the blessings of having wonderful parents. This fabulous thank-you wedding gift for parents is a very special handcrafted piece. Silk screened lettering and color matting are beautiful behind glass with a wood frame. Quality made with pride in the USA. Add wedding photos for an extra special surprise! 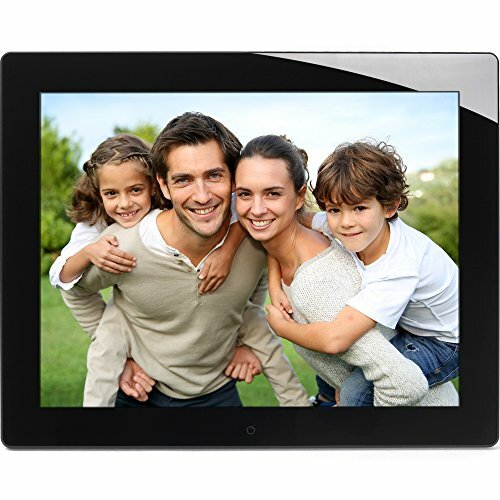 A digital photo frame is a perfect way for Dad and Mom to show off all of the family photos they cherish. This gift, by itself is amazing, but add your wedding photos to it and turn it into a timeless masterpiece. Imagine Mom and Dad opening their photo frame and being very excited, but when they find out it has already been uploaded with your wedding pics. Personally, I love fingertip towels in the bathroom or powder room. They are elegant and let guests know their visit to your home is appreciated. Now, monogrammed towels are even a step above regular fingertip towels as far as I am concerned. They are classy and most suitable in a lovely home. 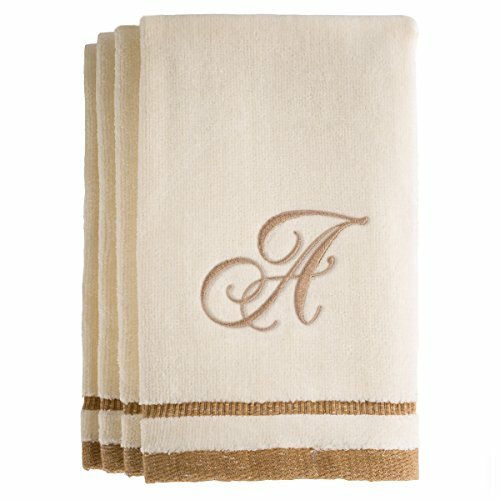 Treating Mom and Dad to a beautiful set of four monogrammed fingertip towels is a luxurious gift to say “Thank You”. These towels are wonderful quality 100% cotton and available in every letter of the alphabet. 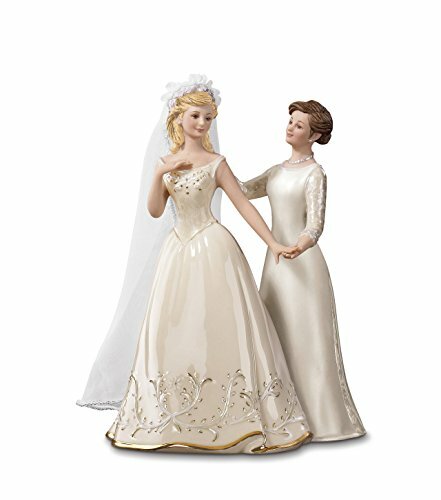 If there ever were Fairy tale figurines, these are the one’s dreams are made of. 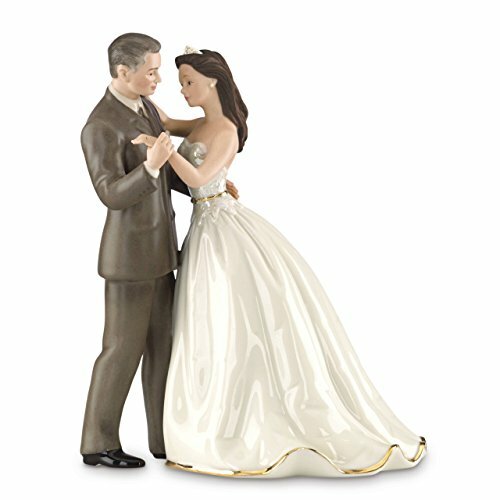 These beautiful porcelain keepsakes, one for Mom and another for Dad, are from the fine quality Lenox Company. Both depict the glorious feeling of your wedding day and the time spent with parents. One glance and all of the happy emotions of wedding day come rushing back with a smile. A lovely gift for parents or a gift from parents to the bride.